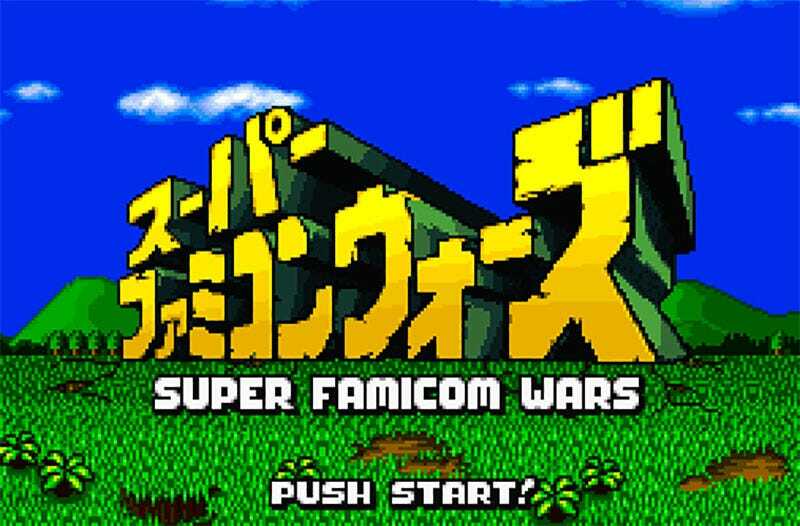 Wars, one of Nintendo’s finest series—and one they seem intent on leaving to die in the cold like a dog—blew up in the West on the Game Boy Advance, but in Japan it’s a lot older. The series debuted on the Famicom in 1988, and then moved to the Game Boy for a number of releases before finally, in 1998, gracing the Super Famicom (via the console’s Nintendo Power re-writable cartridge). That last game has now been localised by fans and made available in English for the first time, which is very cool. Coming out only three years before the classic Advance Wars—and given the series’ basic rock/paper/scissors combat template—it plays real nice, though the visuals are kinda...basic, even by 1998 SNES standards. It’s amazing how much prettier this game got by the GBA.